I had been looking at Grace and Strength Lifestyle for quite some time, but couldn't commit financially until I had [had] enough of this extra weight that I had gained in the last 7 years. Jill's Story: Everything in my life felt out of control. I worked at a frantic pace and got further and further behind. I felt marginal as a Christian, wife, mother, friend and educator. The more I was swallowed up by responsibility – the more I swallowed (pun intended) and the number on the scale continued to rise. Disappointed by the fifty pounds I had gained, I joined Grace and Strength solely to lose weight. Thankfully, God had a different plan. Karen's Story: Earlier this spring I realized that I was dreading the warmer weather and all that meant; more time outside, shorts, bathing suits, heat and all that goes with the nicer weather. I realized that over the past 3-4 years my weight just steadily came on and since it was over time I was ok with it. Until I thought about dressing for the season. Putting on less clothes opened my eyes to what I had allowed to happen. I knew that I needed to change something. 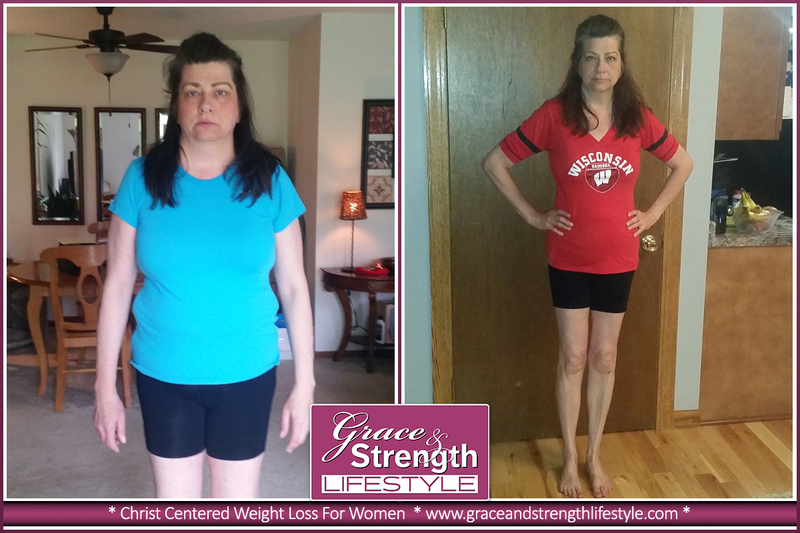 Gerri's Story: I am so thankful today for my journey that I have been on with the Lord through Grace and Strength Lifestyle! When I thought about writing my story, I was overwhelmed by the faithfulness of Jesus! Growing up, I was always the skinny little runt of the family! I did not know what a blessing that was because my grandfather would tell me to hurry up and get into the house because a big wind might come up and I might dry up and blow away! Graduate Becomes Coach - Monica's Story: In today's interview Cyndi Benson, Grace and Strength founder, talks with graduate and coach, Monica Hemming. Monica tells how her life has changed after completing the program and how she has grown since becoming a Grace and Strength Lifestyle Coach.